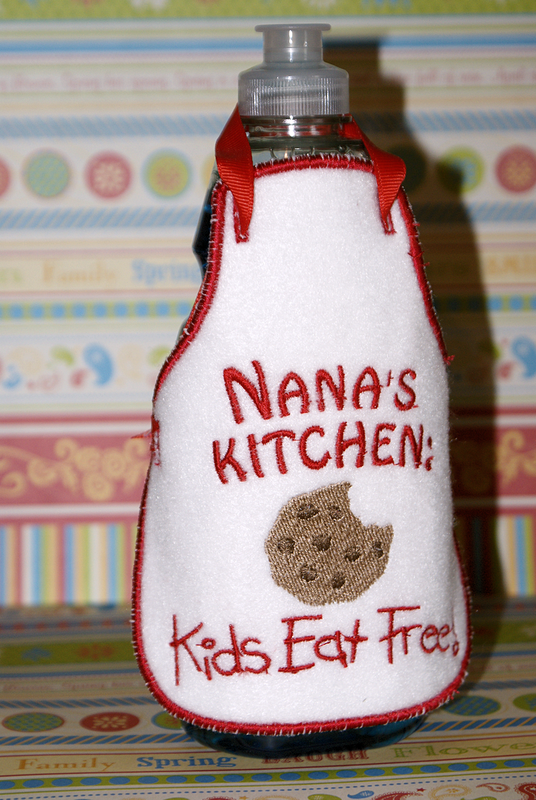 My Crafting Channel: 2 Creative Chicks Challenge #12 "Make A Apron" Week 1 "Bottle Apron"
2 Creative Chicks Challenge #12 "Make A Apron" Week 1 "Bottle Apron"
Today I have for you these adorable embroidered Bottle Aprons. These were so easy to make. After they are washed it will remove the white stabilizer in the stitching. These were made using old jeans and scraps of of material. Monday Handmade Link Up Party #5!! Check out my new store. Giveaway going on now. You know me...loving that chicken one to pieces!!!!!!! Wow. These are so cute and adorable. 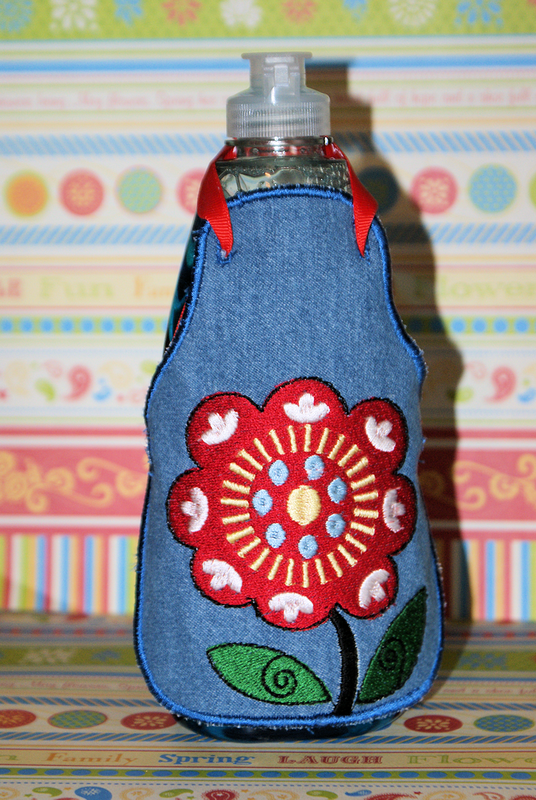 Love your bottle apron. :) Have a great weekend!!! They are ALL adorable!!! I saw this on FB ...You ROCK !! 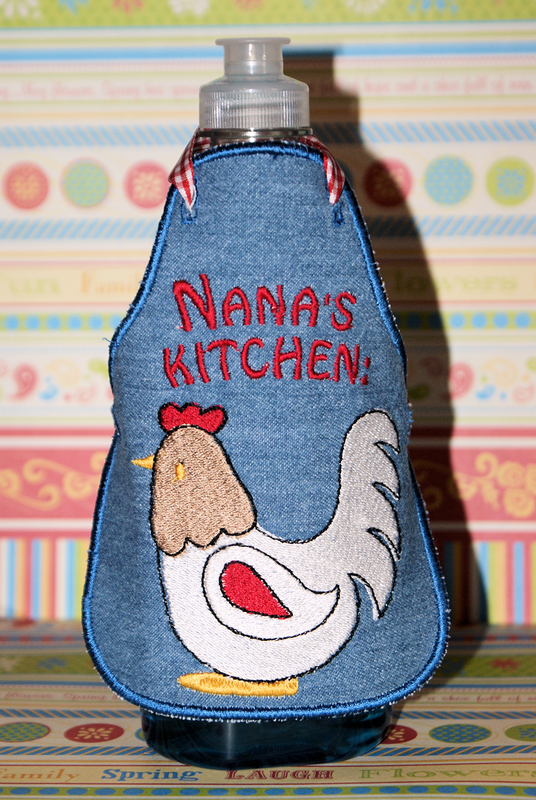 These are just the cutest little aprons ever! OMGosh!!! these bottle aprons are way too cute I loveeeeee them!! !